Built at Damen Shipyards Antalya in Turkey, the Group’s specialist composite yard, the Fast Crew Supplier 1605 FRP (Fibre Reinforced Polymer) is an addition to Damen’s highly successful aluminium 1605 range, 70 of which have been sold over the years. 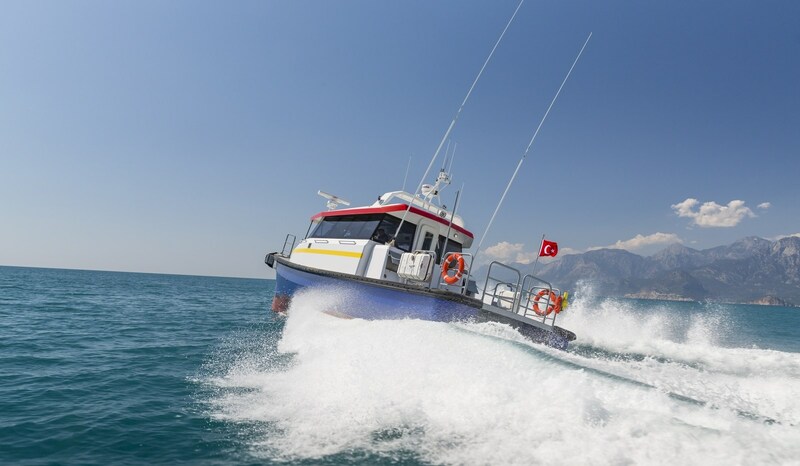 The FCS 1605 FRP has the advantage of being very light and extremely strong because of its composite construction and waterjet propulsion and this means that the vessel can reach a speed of 29 knots. With a capacity for 12 passengers, the new 16 m vessel provides high levels of comfort because seats are positioned more aft and it has a spacious deckhouse and good all-round visibility. The new vessel can be delivered in a crew or patrol boat layout and because composite building facilitates standardised, series building, the vessel is a cost effective option for customers. Additionally, as it is manufactured from FRP, the vessel is not subject to corrosion and is easy to maintain. The first vessel of the new composite series – DMS Swift – has already joined the fleet of Damen Marine Services (DMS). Special attention has been given to the vessel’s ability to work in extreme temperatures – both air and sea. After an extensive test and trial programme the DMS Swift is now ready for worldwide deployment. 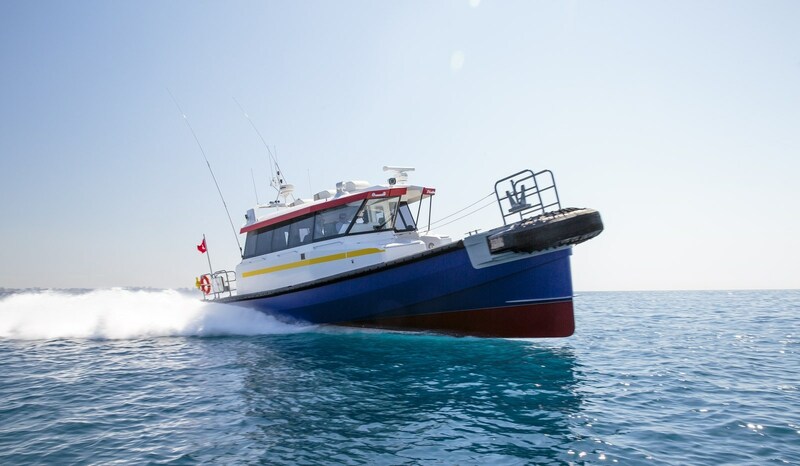 Established in 1974, DMS introduces Damen’s pioneering workboat concepts and ship types to the market. New vessels are taken under the wing of DMS and customers can charter the vessels for their specific project requirements. Alternatively, vessels can serve as a frontrunner while building a vessel at one of the Damen shipyards. Vessels can be chartered with crew or under certain conditions bareboat charter can also be considered.